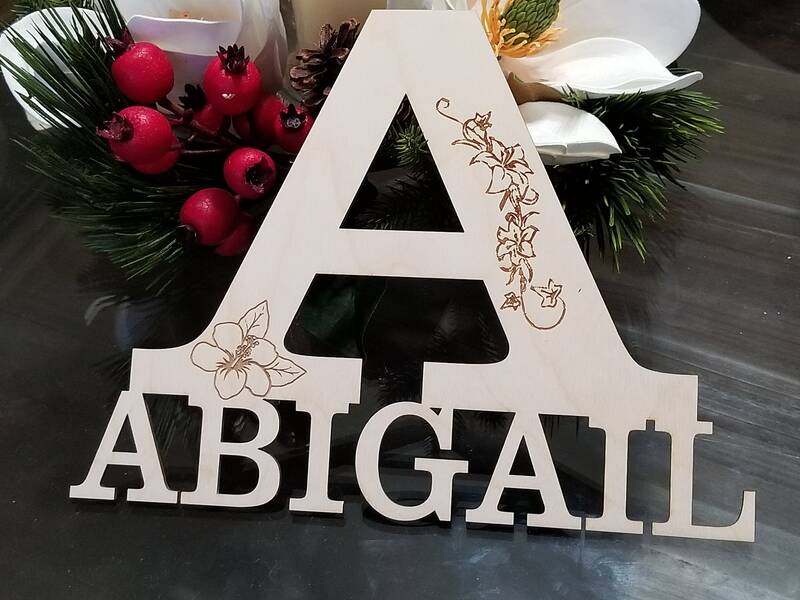 This beautiful laser cut name sign would add that special touch to your the nursery, kids bedroom, family room, etc. Last names can also be cut. Add our beautiful laser cut name in the center of the picture collage on the wall for a more dynamic display. Size shown : 12 inch long x 10 inch tall. We can cut it I'm the size you need up to 21 inch long and 18 inch tall. Have any questions please contact us.